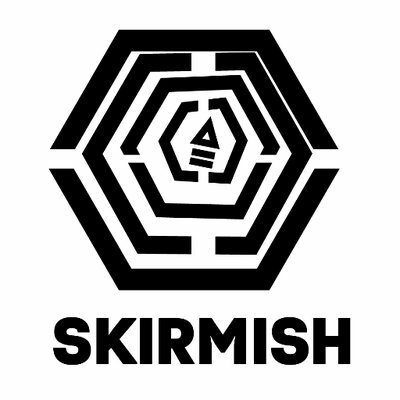 This is an interview that has been a while coming and is one we’re very happy about here at Skirmish towers. It’s none other than Irish electronica maestro Alice who’s mind boggingly good tunes have been causing quite a stir with us the past while. Hailing from the depths of Dundalk, the 23 year old manages to create some pleasantly off-kilter tunes that will have your brain wondering what just happened. I really enjoy when producers this young are producing stuff of such high quality and with a Free E.P. out on Acidburp’s Them Records, I can’t imagine it’ll be too long until he’ll be causing more of a stir. We caught up with him to find out more about the E.P. How did you become involved in making tunes? I was playing and writing music from my mid-teens acoustically and then got a program for the computer to record some of it, but got the wrong program by accident and it only allowed me to write electronic music and didn’t have a recording option so I got to work with that instead and started to really love it. Yourself and Yeahhbuzz seem to be championing Dundalk for quality producers. What’s the scene like there? Any other producers to keep an eye out for? Yeah it’s actually really good for electronic music. I don’t play live that much but the ones that do are deadly like Johnny, Decitronic and YakJaw. What software/hardware couldn’t you live without when making tunes? I only use Ableton, so that. How has the response been to your music? Yeah it’s been really good actually. People have been really good with leaving feedback and have said really nice things. Had a few pieces played here and abroad in the past year so it’s good to get it out to different crowds as well. You have a free downloadable EP out and a CD out in July. You want to tell us more about them? The free download is out on Them Records at the minute. They were deadly about everything and just let me do whatever I wanted, really sound. The CD has been moved to around September time and it’s going to be out on Plasma Torus Records. Everyone should definitely listen to some of the stuff they’re putting out. Have most of the CD finished just trying to get a few more pieces of music done. How do you approach getting a live set together? I’m not comfortable with DJing at all, but trying to get used to it. Any live stuff in the past year hasn’t been performed by me, just sort of in concerts festivals for electronic music. I want to organise a good live set this summer or maybe soon after that involves some nice visual stuff to go with it. The sets depend on where I’m playing, so can range from loads of rap music to fucked up stuff. What do you find the most challenging part of composing electronic music is? Finding something that I really like.What have you been listening to a lot and taking influence from recently? Pixies, Captain Beefheart Beach Boys, Beatles and really want to do a spaghetti western type electronic track. Besides the releases, what does the rest of 2012 hold? Just planning possible live shows, keep writing and maybe get a few more live instruments in the music. Big up to Alice for the interview and watch this space for more Alice news in the coming months.